Plant Cells and Their Organelles provides a comprehensive overview of the structure and function of plant organelles. 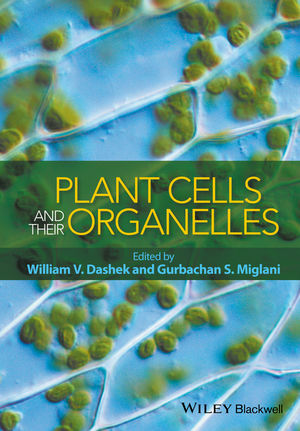 The text focuses on subcellular organelles while also providing relevant background on plant cells, tissues and organs. Coverage of the latest methods of light and electron microscopy and modern biochemical procedures for the isolation and identification of organelles help to provide a thorough and up-to-date companion text to the field of plant cell and subcellular biology. The book is designed as an advanced text for upper-level undergraduate and graduate students with student-friendly diagrams and clear explanations. Dr. Dashek is the recipient of BS, MS and Ph.D. degree from Marquette University where he was a National Institute of Health pre-doctoral trainee. He was a post-doctorate fellow at the Michigan State University Plant research Laboratory. Subsequently, he began a lengthy Academic teaching and research career. Currently, Dashek is retired writing advanced textbooks. Dr. Miglani obtained B.Sc. (Agri. & A.H.) and M.Sc. (Genetics) from Punjab Agricultural University (PAU), Ludhiana, Punjab, India and Ph.D. from Howard University, Washington, D.C. During his 35-year teaching stint at PAU he taught general and specialized courses in genetics. Even after retirement Miglani is still teaching molecular genetics and biotechnology at PAU. In addition to research and review papers, popular science articles, laboratory manuals he has published a dozen books and presently he is writing his next book.